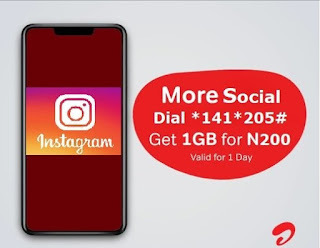 Airtel Nigeria has now officially launched its own Instagram bundles package just like MTN Instabinge bundle. then new Package enables subscribers to enjoy 1gb on Instagram at the rate of N200 only. 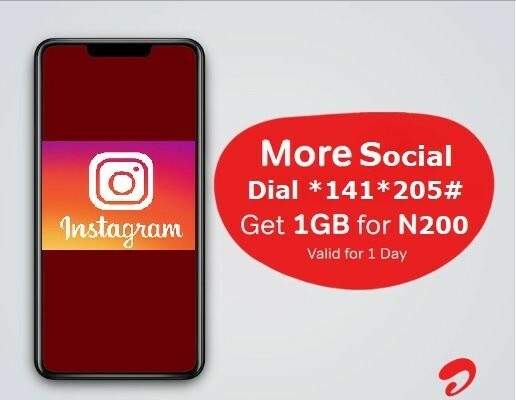 With the new Airtel Instagram Bundle, you will be able to enjoy 1gb data for just N200 which can only work for Instagram app or website including some lucky app as well. The new Instagram bundle data works well on both 3G and 4G devices.